Exxon Mobil is backing a proposal to tax oil, gas and coal companies for the carbon they emit and redistribute the money raised that way to all Americans. It’s also giving a group urging Washington to enact a tax on carbon US$1 million to advocate for this policy. The carbon dividends plan, named after the former U.S. officials who conceived it – James Baker and George Shultz – reflects the research of Yale economist William Nordhaus, one of the two winners of the 2018 Nobel Memorial Prize in Economic Sciences. Based on my research regarding how stock prices and greenhouse gas emissions are connected, I find it very encouraging to see an economist become a Nobel laureate for his climate change work. Even so, I am skeptical of the Baker-Shultz proposal. In particular, I question whether it would prompt Exxon Mobil and other big energy corporations to either change their business priorities enough or to force them to pay for their contribution to the steep costs of dealing with climate change. On the one hand, economists argue that in theory taxing the companies that produce fossil fuels or the consumers who buy their products, or perhaps both, should curb the supply of and demand for oil, gas and coal. Presto. The carbon tax reduces emissions. Depending on the model, the government either uses this revenue for a specific purpose, such as investing in renewable energy technologies, or distributes that money to the public to offset any hardship the tax may cause consumers. However, economists have two hands. They also need to look at the details of any proposal and the accumulated evidence thus far so as not to repeat the mistakes of the past. Unfortunately, the findings and outlook for carbon taxes alone as a way to reduce emissions are not promising. Carbon taxes are most prevalent in Europe, especially Scandinavia. Finland became the first country to adopt one in 1990, followed within a few years by Sweden, Norway, the Netherlands and Denmark and later by other European nations. More recently, governments in the Americas and Asia have followed suit, including some local ones in California and Colorado. Studies, however, indicate that greenhouse gas emission reductions from carbon taxes have been mostly underwhelming. Researchers generally use two approaches to draw this conclusion, by either building a “counterfactual” model of what the past experience would have looked like with no carbon taxes or by comparing emissions before and after the introduction of a tax with controls for reasons for emissions changes other than a carbon tax. For example, a 2016 paper examining several studies of emission reductions in 16 countries and two Canadian provinces found an average reduction in carbon emission intensity and energy use of less than 1 percent per year. British Columbia, though, was at the upper end of the emission reduction scale, with emissions per capita falling by as much as 9 percent. Perhaps the biggest challenge to make these plans work better is raising the per-ton tax to reflect new and higher forecasts for the future costs of climate change. These estimates will likely skyrocket within 25 years into hundreds of dollars per ton of carbon if the world is to keep the increase in global temperatures to less than 2 degrees centigrade compared to pre-industrial times, and an effective tax would need to be even higher for maximum warming of 1.5 degrees. That is far higher than the current average of about $20 per ton. I have sought in my own research to estimate the toll on stock prices taken for every ton of carbon. My findings suggest that in 2012 capital markets were pricing the cost of carbon at close to $80 per ton. This penalty imposed by the financial marketplace, a guide to what a carbon tax should be, would be higher today if adjusted for inflation. Given that about half of Americans don’t see addressing climate change as an urgent priority, I believe U.S. voters would find taxes based on carbon costs that high unacceptable, making a potentially effective tax policy politically difficult to implement. To their credit, the proposal from Baker and Shultz does have some sensible safeguards. For example, it would tax imports from countries without carbon taxes, and it would raise the carbon tax it proposes from an initial $40 per ton commensurate with increases in the damage from higher temperatures and sea levels. My most serious concern, though, with their plan is its apparent quid pro quo. It would shield energy companies from some existing regulations and from being held liable for damage to the environment at the federal or state level from decades of earlier fossil fuel production. This is not a hypothetical concern. Several states and local governments are already suing Exxon Mobil and other oil and gas corporations over damage from climate change. Looking closely at the carbon tax proposal, if it were to become law, the fossil fuel industries would likely pay a small carbon tax bill that they could easily pass on to consumers in the form of higher gasoline prices. At the same time, Exxon Mobil and its peers would be absolving themselves of what someday could amount to trillions of dollars in liability due to climate change lawsuits. Exxon Mobil’s support for this carbon tax, in other words, does not signal any generous altruism on its part. What’s more, even without the tangled web of a national carbon tax, renewable energy is getting cheaper through innovation, some of it subsidized by existing incentives, and economies of scale due to the swift growth of the solar and wind industries. Also missing from the Baker-Shultz plan is the clear role that better information for investors and consumers on companies’ climate change impacts can play in guiding markets to accurately and promptly price and allocate carbon risk. I find that market forces generally are better ways to obtain signals about and establish prices of future states of uncertainty, which is particularly important because climate impacts can evolve over long horizons. Often present in economists’ theoretical views of climate policy, however, is the assumption that high-quality information is available at no cost as a basis for sound decision-making. This may not be the case. Specifically, economists like me want to know at least two things that are highly relevant for investors and creditors. First, the size of a company’s carbon footprint. Second, the policies that company would be following to avoid an increase of global temperatures, limits on global sea level rise, or both. 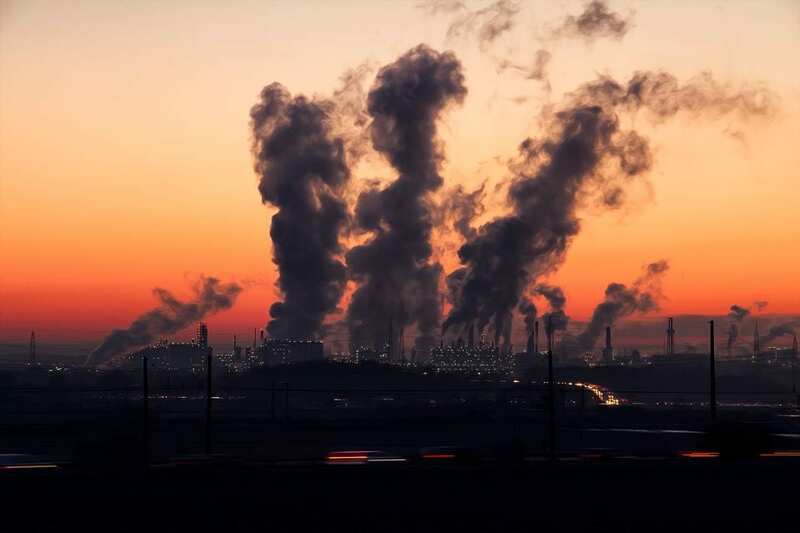 Climate scientists, however, are slowly generating better data to trace the links between carbon production and product use and their impacts on people and biodiversity. In my view, more and better information from carbon emitters is critically needed to establish effective climate change policies. That’s why I am urging the SEC to make companies disclose their carbon risks and carbon footprints voluntarily. Under my plan, the SEC would provide guidance and apply its enforcement powers to any laggards that might choose to under-disclose or not disclose at all. I believe this voluntary approach has worked well under the Foreign Corrupt Practices Act, an anti-bribery measure enacted in 1977. I see no reason why it would not also work well as a way to reduce climate risk. Paul Griffin is a Distinguished Professor of Management at the University of California, Davis. This article was originally published on the Conversation and has been republished under creative commons. For the original click here. CO₂ shortage: why can’t we just pull carbon dioxide out of the air?